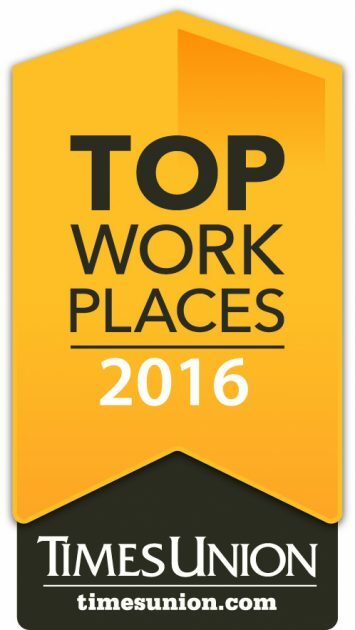 Townsend is a Top Work Place of 2016! Passionate, gritty, team-centric, hard-working, fun, proud. 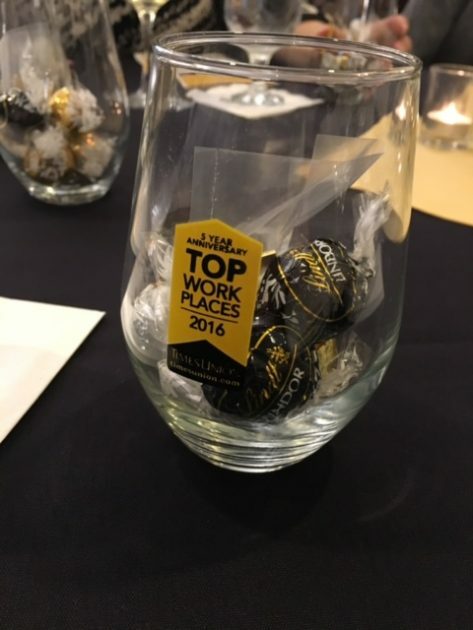 Proud to once again be recognized as a Top Place to Work in all the Greater Albany Area for 2016. That, is Townsend today. This Townsend Team is impressive in every sense and have created a work environment that is not simply “ok“, or “fine“, but rather “exciting!”, “rewarding!”, “makes me look forward to getting back here again tomorrow!”. 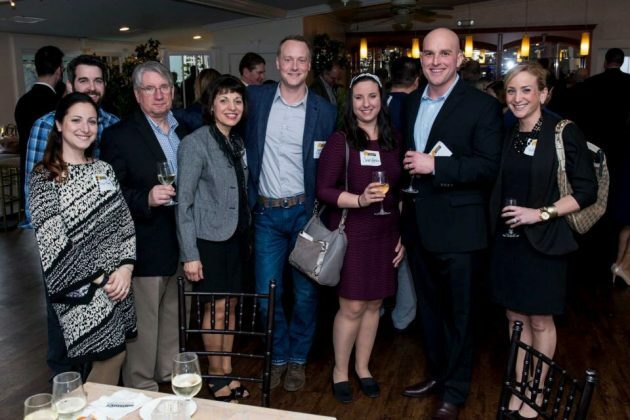 This Townsend Team has created a work environment, a company culture, an atmosphere that inspires. We have known and and seen it and worked hard at it for years, and now, once again people outside of Townsend see it and are recognizing us for it. 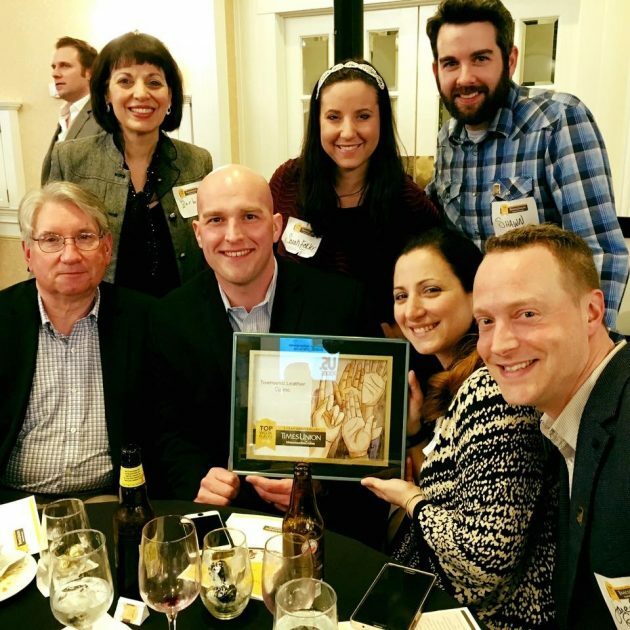 The Albany Times Union has once again surveyed 1000’s of companies in the area, sorted through the results and comments and have listed the awards for the Top Workplaces of 2016 for the Greater Albany Region of 2016, and Townsend Leather is very proudly on that list for the third year in a row! The formal announcement happened at an event earlier this year. 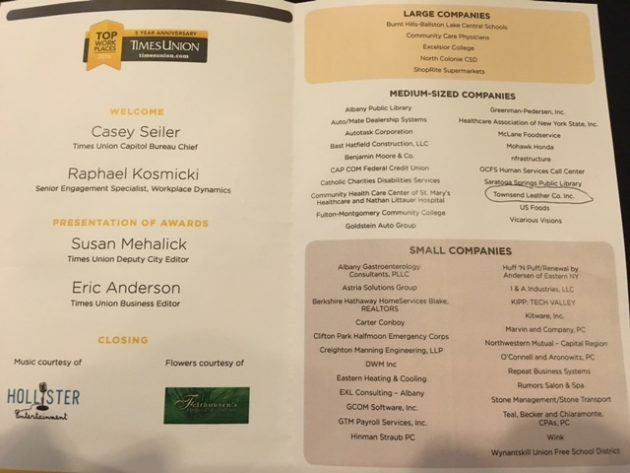 A core team of Townsend Partners went on behalf on the company and accepted our award. The event was great fun and reflected the even greater fun of working at Townsend Leather. 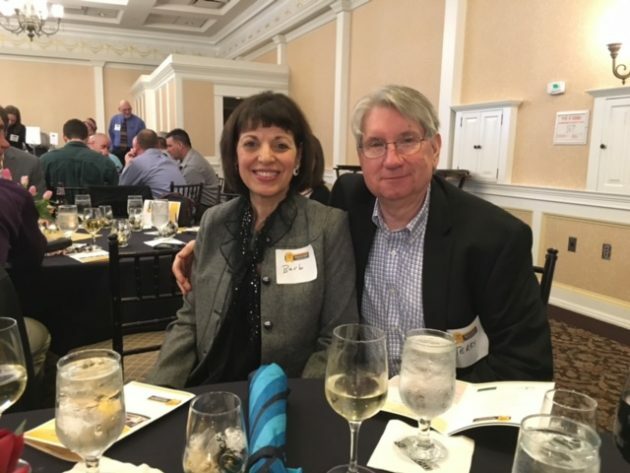 Each Townsend Partner is proud to be on the team and we are honored to receive so many awards just for being us and creating the kind of place that we like to be in. We aim to keep improving and will look forward to new awards in the future.